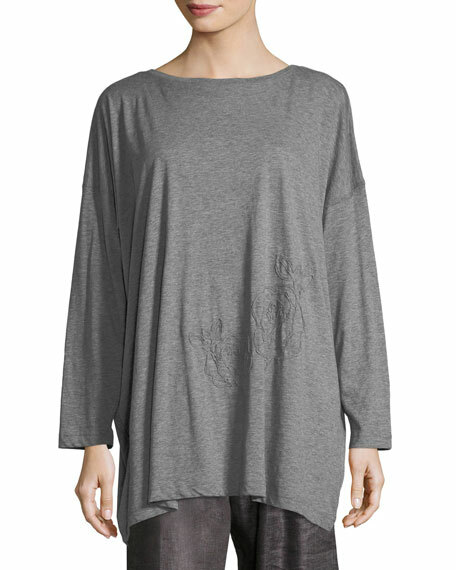 Alo Yoga "Formation" sweatshirt featuring mesh panels and an extended-keyhole back for style and ventilation. For in-store inquiries, use sku #2134325. 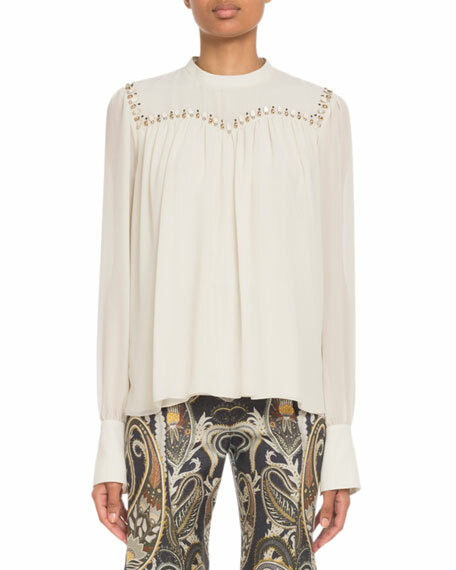 Chloe silk top with beaded embroidery. Mock neckline. Long sleeves; button cuffs. Swing silhouette. Hidden back zip. Lining, polyester. Made in France. 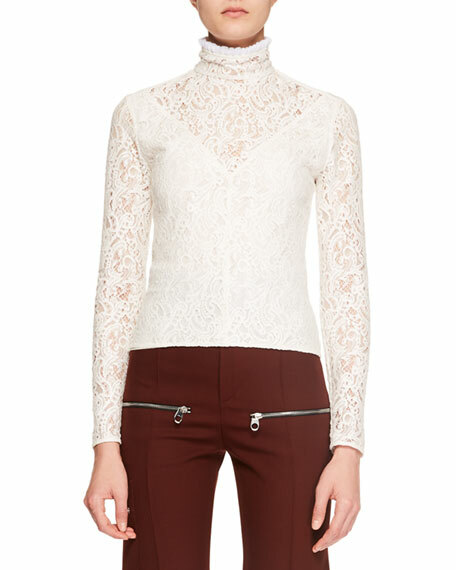 Chloe lace top. Turtle neckline. Long sleeves. Slim fit. Hidden back zip. Cotton/nylon. Lining, silk. Imported. Eskandar top with tonal floral embroidery. Boat neckline. Long sleeves. Relaxed fit. Pima cotton. Made in Peru. 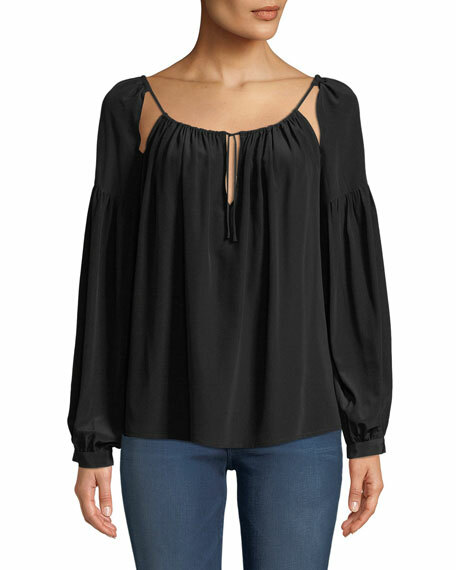 FRAME peasant top. Scoop neckline with ties. Long sleeves; button cuffs. Relaxed fit. Slipover style. Silk. Imported.